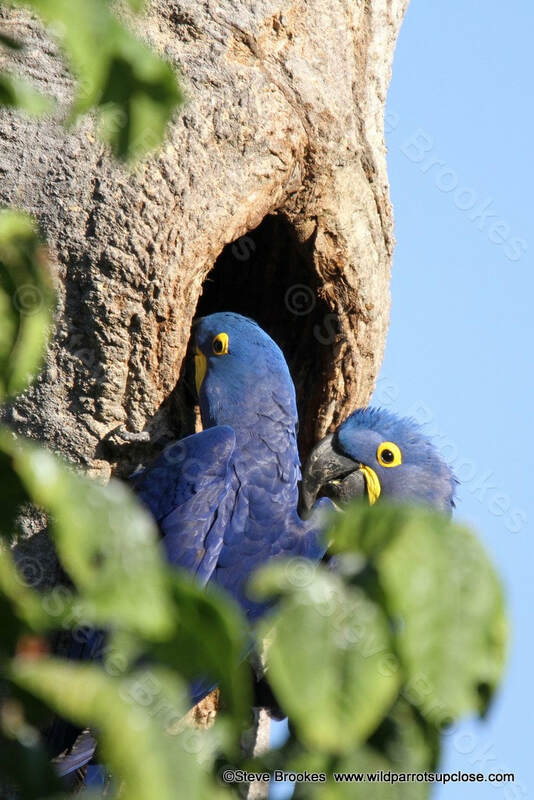 I wanted to tell you what Wild Parrots Up Close is all about and to do this I thought that it may be useful to show you some of the Frequently Asked Questions that people put to me. What and who is Wild Parrots Up Close? Where does Wild Parrots Up Close go on tour? ​I take the group mainly to South and Central America as well as the Caribbean however I am also planning some trips to Australia, Africa and Indonesia. ​Do you accompany the tours? ​I go on every trip that I advertise. I am there as a guide although I do employ local bird guides as well who know the areas we visit very well and most importantly know the best places to find the parrots and other wildlife that we want to find. 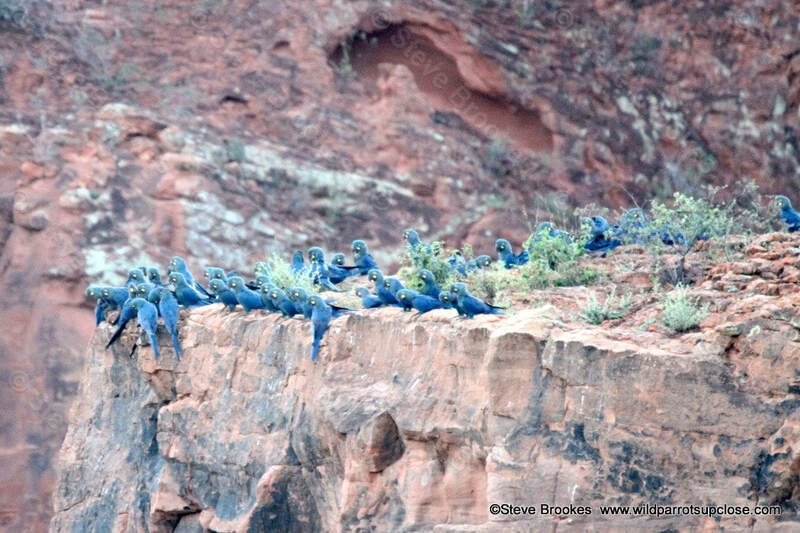 ​How many people can go on a Wild Parrots Up Close trip? ​I like to take small groups so that everyone gets the most out of every trip so 12 would be an absolute maximum however some trips are limited to less people due to transport or other logistical limitations. ​Who can go on a Wild Parrots Up Close trip? ​Practically anyone really but most of my clients are 18 to 80 male and female – you do not have to be super fit – we do go on walks but not all the time so if you do not feel like going on a walk then you will still see many birds and wildlife around the lodges that we stay in. I also have people on my trips from all over the world including Europe (France, Germany, Holland and the UK) as well as Australia and USA. Some people join the group on their own or as a couple or even a small group of their own but either way as soon as the group gets together everyone gets on very well as Parrots and Wildlife are a great bond. 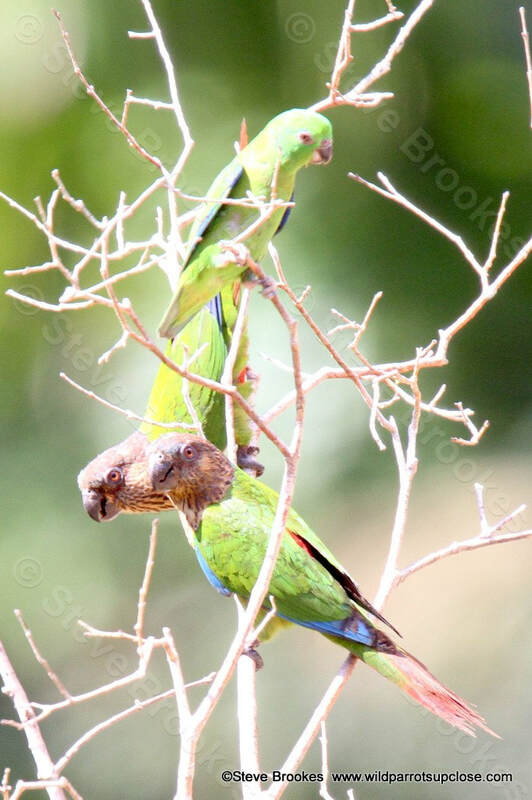 ​What do you see on a Wild Parrots Up Close tour and how Close do you get? I organise all my trips to see as many Parrot species as possible in the area of the tour however we see many more species of birds, mammals, reptiles and plant life and because it may not be a Parrot we do not pass it by, we are still able to spend time with all that we encounter. 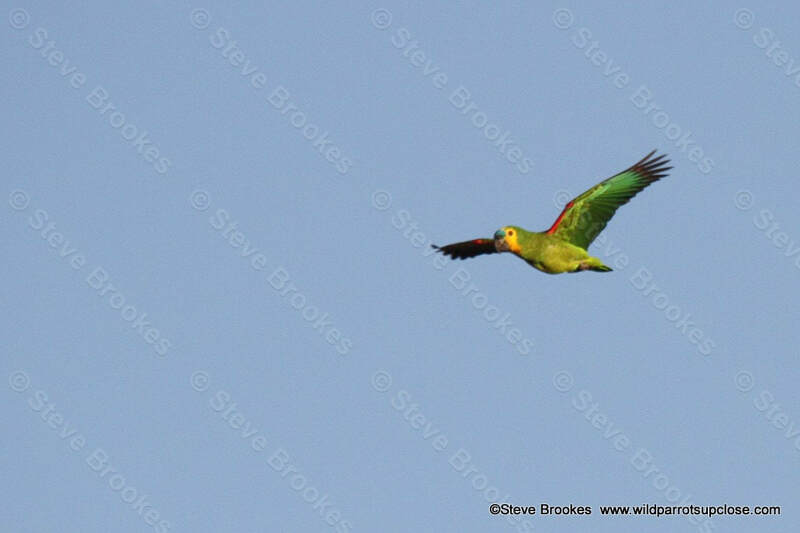 On the Brazil trip in November 2011 to the Cerrado, Pantanal and Amazon of the Mato Grosso State we saw 29 species of Parrots and over 200 species of other birds and wildlife. 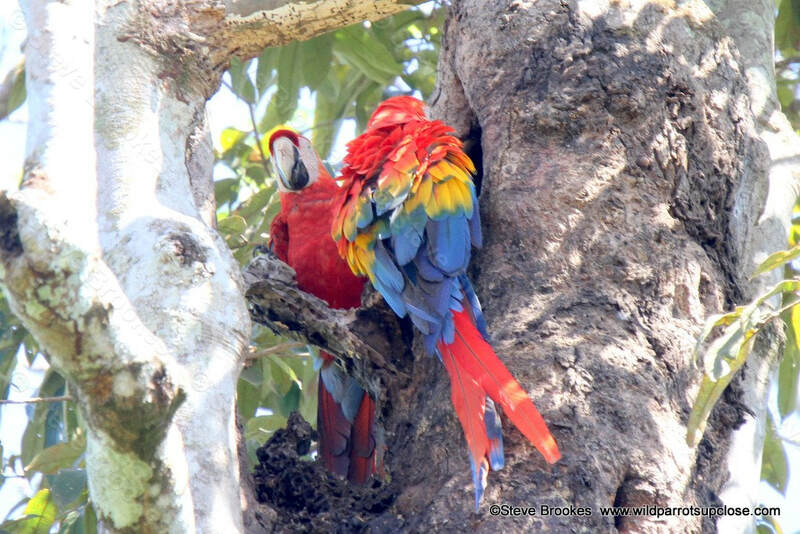 In Costa Rica (February/March 2012) we saw 13 out of the 16 species of Parrots including both Macaw species – Scarlets and Great Greens and all 4 Amazon Parrots as well as in excess of 300 species of birds altogether. As most of the places we go to have been eco-tourism destinations for some time the wildlife is used to people being around so we can get within a few metres of our subjects giving many opportunities for lots of Photographs and you can see this with some of my Photographs on my website. ​What about cameras and video? ​I am a Wildlife Photographer so on a trip there are not many times that you will see me without my camera, you never know what is round the next corner or tree and as we see so many Parrots and other birds and wildlife I always allow plenty of time for everyone to be able to photograph, video or just observe the natural behaviours of these beautiful creatures. I also take a laptop with me to be able to download any photos and can help you with this if required. Most of the lodges where we stay have electricity although sometimes this can be limited to certain times in the day but is sufficient to charge all batteries each day. ​Don't forget to take plenty of memory cards and a spare battery or 2 along with your charger. ​What are the accommodation and meals like? We nearly always stay in lodges which usually have twin bedded rooms and ensuite bathrooms however some can be basic but this will be in the itinerary for each trip. Meals are usually buffet style so you can choose anything you want to eat with local fruits, meats, fish and vegetables being available. Vegetarians or any other food preferences can be catered for. ​What is included within the price of the trip? I like to include most items but basically it is all transfers from airports within the country of the tour, all accommodation, all meals (although a few cannot be included for various reasons but you will be informed of these with the itinerary for the trip), drinks at meal times, all transport throughout the trip, all guides and drivers or boat crews, entry to National Parks and other Conservation Projects that we visit. Unfortunately because I have people joining my trips from different countries then I do not include International flights although I am able to help with the arrangements for these. NOT included are International flights, internal flights (although I would normally arrange these), alcoholic and fizzy drinks (although there is usually a bar of some description at each lodge), insurance (which is necessary) and items of a personal nature such as souvenirs etc. I hope this helps everyone to understand my trips a bit more but should you have any further questions then please email me steve@wildparrotsupclose.com or use the enquiry form button below.